Heidelberg University is the oldest university in Germany. The first medical lectures were held here in 1388. Today Heidelberg University Hospital is one of the largest and most prestigious medical centers in Germany and the whole of Europe. The reputation of Heidelberg as a medical center is based on excellent patient care, research and teaching. Heidelberg University Hospital offers inpatients and outpatients an innovative and effective diagnosis and therapy for all complex diseases. Modern buildings with state-of-the-art equipment enable very ill persons to receive medical care that meets the highest international standards. The proximity and interlinking of the specialist departments benefit the patient: interdisciplinary cooperation ensures optimal treatment. Progress and innovation are essential for promising medical treatment. Hundreds of doctors and scientists at Heidelberg University Hospital and its partner research institutes, such as the world-renowned German Cancer Research Center, pursue a common aim: the development of new forms of therapy and their quick implementation for the benefit of the patient. The Medical Faculty and Heidelberg University Hospital work as a team to train outstanding doctors and dentists. Numerous doctors complete their post-graduate specialist training at a university level. Top-class care and attention to the patient have priority in nursing and other health profession programs. The high standard of training for junior employees and ongoing staff development are reflected in excellent patient care. Founding of the university by charter of Elector Rupert I, which also mentions a “facultas medicinae”. The Botanical Garden is established as basis for pharmaceutical studies. The Polyclinical Institute is opened. For the first time, medical students receive systematic practical training on patients. The Surgical Hospital is opened. Herrmann von Helmholtz, Director of the Physiological Institute, engages in research and teaching. 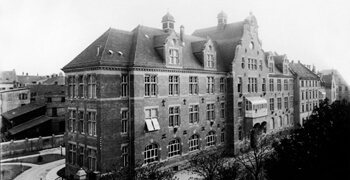 Hospitals in Heidelberg-Bergheim are built. Beginning of medical studies for women. The physiologist Albrecht Kossel is awarded the Nobel Prize for Medicine. Overall planning and construction of hospital buildings and institutes in the University Campus Neuenheimer Feld: Surgical Hospital in 1939, Pediatric Hospital in 1966, Research Institutes in 1974, Head Hospital in 1987. The Department of Medicine resumes teaching. Establishment of the reform study program Heidelberg Curriculum Medicinale (HeiCuMed). Establishment of the National Center for Tumor Diseases (NCT) of Heidelberg in cooperation with the German Cancer Research Center (DKFZ), German Cancer Aid, and the Thorax Clinic in Heidelberg. Opening of the new Hospital for Internal Medicine. 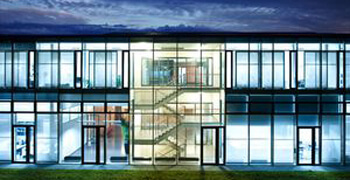 Completion of the Heidelberg Ion Therapy Center (HIT), first treatments in 2009. Opening of the “Angelika Lautenschläger Children’s Hospital” and beginning of the construction of the Women’s and Dermatology Hospital. Harald zur Hausen, former head of the DKFZ, and member of the Medical Faculty Heidelberg, is awarded the Nobel Prize for Medicine. The new building of the National Center for Tumor Diseases Heidelberg NCT is opened. The Thorax Clinic Heidelberg becomes a 100% subsidiary of the Heidelberg University Clinic. Commissioning of the worldwide unique Gantry in the Heidelberg Ion-Beam Therapy Center HIT. The New building of the pathologic institute is opened. The building of the new Gynecology and Dermatology Clinic is opened. Prof. Dr. Annette Grüters-Kieslich, Chairwoman of the Board and Chief Medical Director at Heidelberg University Hospital, speaks about the National Center for Tumor Diseases (NCT) in Heidelberg. The NCT stands for interdisciplinary cooperation and innovation. With the aim to provide highly competent counsel and treatment, the NCT combines interdisciplinary patient care with current cancer research. The interdisciplinary care of patients makes optimal individual therapy possible. In the future, fewer oncologic breast operations? Professor Christof Sohn, the Medical Director of Heidelberg University Women‘s Hospital, and Professor Florian Schütz, the Director of the Breast Center, explain why breast cancer is transforming from a tumor treated primarily with surgery to one treated primarily with systemic methods. Univ. Prof. Dr. med. Felix Herth, Medical Director of the Department for Internal Medicine and Pneumology at Thoraxklinik Heidelberg, is global leader in the field of endoscopic volume reduction for pulmonary diseases. We spoke with him about innovative endoscopic procedures used to treat lung diseases. Together with her son Daniel, Dina Gizatullina traveled to the Pediatric Heart Center at Heidelberg University Hospital from Russia. The 17-month-old boy suffers from a rare, life-threatening malformation of the trachea. We spoke to Dina Gizatullina and the treating physicians Prof. Matthias Gorenflo and Prof. Tsvetomir Loukanov about Daniel’s story and his stay in Heidelberg.